Buddha Teas ~ Amazing Organic Teas! 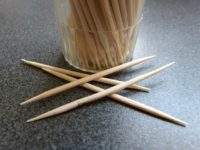 This product was provided free of charge in exchange for an honest review. I have loved drinking tea for many years. It is a part of my daily routine, whether it is starting out the day with a cup of green tea or winding down with chamomile. Over the years, I have tried many teas and am always looking for good quality teas. 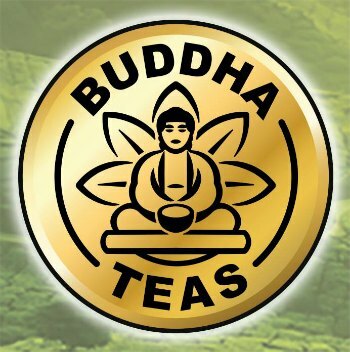 Buddha Teas not only has a wide variety of teas, but they focus on high quality teas. Buddha Teas believes that a good cup of tea is not simply a beverage, but an experience designed to nourish the body and satisfy the soul. We strive to offer this experience to everyone through our vast collection of fresh, naturally grown herbal teas. Our mission is to provide high quality herbal teas at an affordable price, which everyone from the casual tea drinker to the seasoned tea connoisseur can enjoy. Buddha Teas understands the importance of purity. While most consumer products today are processed and packaged beyond recognition, our goal is to get back to the natural. We offer 100% unaltered, organic and wildcraft teas made from the freshest herbs, carefully packaged in only bleach free tea bags. Our customers take comfort in knowing that they can enjoy a cup of tea without any harmful additives or toxins, and with our ever-growing collection of natural teas, each customer can choose a tea that perfectly matches their needs. Having tried many kinds of teas, I was excited to try something a little new. I have tried Yerba mate before, but not a Dark Roast. I am juggling more things than ever, between a new job, the kids activities, and the onset of many summer activities, and Yerba Mate is a great source of natural energy. In addition to being a great coffee alternative, yerba maté also has many other great qualities to offer anyone interested in classic herbal teas. Yerba maté is an excellent natural source of vitamins A, C, E and several B vitamins, especially niacin (vitamin B3). In terms of minerals, yerba maté is rich in magnesium and potassium, and offers trace elements of iron, calcium, manganese and more. This beverage also contains other nutrients like flavonoids, amino acids, essential fatty acids, and more, and is ever growing in popularity among proponents of natural foods. Each tea bag comes individually wrapped, and I love being able to pop a tea bag in my bag when I travel. You are supposed to steep this tea for a while. I have let the tea bag sit in the cup for quite some time and the tea is still very enjoyable, and doesn’t become bitter or too strong. The tea has a nice earthy taste to it, and I like it plain or with some sugar. Although I don’t often sugar my teas, this is a real treat with a little bit of sugar. 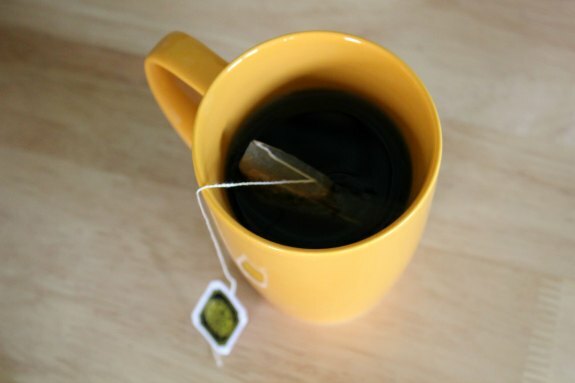 This yerba mate has a nice rich flavor, as a result of the dark roast. Overall, a really great tea! 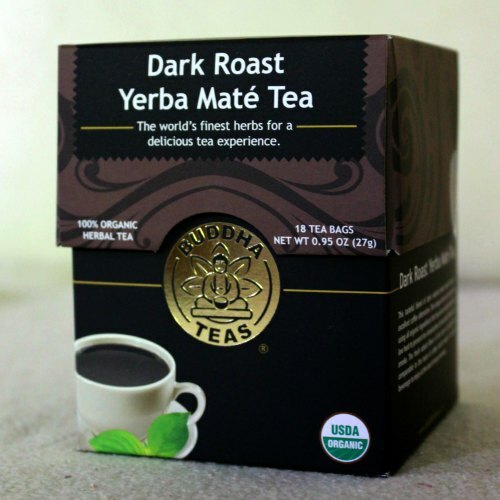 Buddha Teas has a great variety of teas in addition to this Yerba Mate. And not just your usual teas – I found lots of unique teas including Chickweed, Bitter Melon, Flax Seed, Chaga, Wormwood, and Moringa! Normally when I browse a tea shop in person or online, the names are all familiar, but there are so many teas I have never even heard of. There are also some teas that I don’t see often that I would love to stock up on, like Linden tea (which is great for aiding in sleep!) or Turmeric Ginger tea (with lots of health benefits). 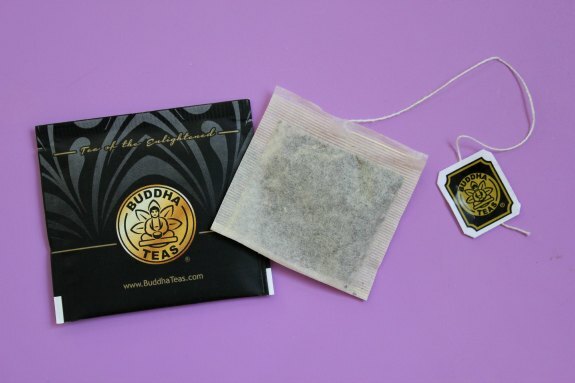 Of course, Buddha Teas also offers common teas, like Earl Gray and Green tea. Plus, you can search by health benefits, such as digestive health. The great thing about this tea line is that there are so many choices and all the care that has been put into creating their products, making the ingredients natural and organic, and down to the bleach-free tea bags. Check them out on Facebook, Twitter, Pinterest, Instagram, Google+, Tumblr. Are Glyphosate-Based Herbicides Safe Around Pets?